Fr John Cunningham's remains were entombed in the Priest's Crypt at Melbourne General Cemetery this afternoon, just around the corner from the Elvis Presley memorial. Given his sense of inclusiveness that would surely have been very welcomed by John. At the Ivanhoe Parish Vigil Service last night and the Funeral Mass this morning at his first parish of Saints Peter & Paul in South Melbourne many fitting things were said about his humility and greatness as a priest, the word 'great' not being one he would have approved. 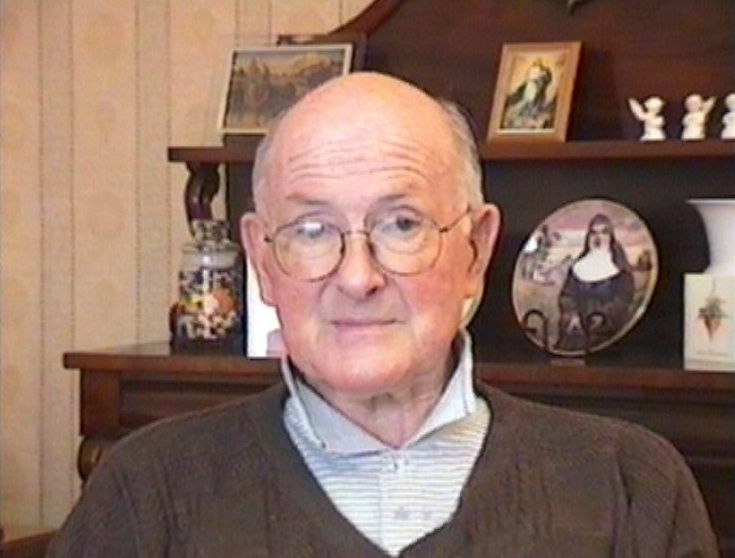 After all that was said of him at the Vigil last night covering his life as a priest and towards the end of the Service John was given a 'right of reply' via a video interview of him recorded by Sr Carmel Butler just before his retirement. He said things of honesty and wisdom that were both simple and very profound. He spoke very optimistically of a future church with a high level of lay participation. At the very end of the interview and in response to a question about the people of Ivanhoe Parish he said with feeling what wonderful people they are, then looking at straight at the camera concluded by saying to everyone, very poignantly and prophetically, the words that are often most difficult to say, "I love you all". 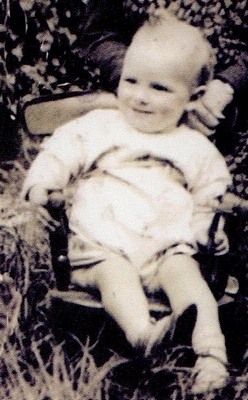 UPDATE: A memorial booklet recording the many wonderful things said about John at and around the time of his funeral may be downloaded here. It includes the 'last words' of Fr John as Parish Priest of the Catholic parish of Ivanhoe. 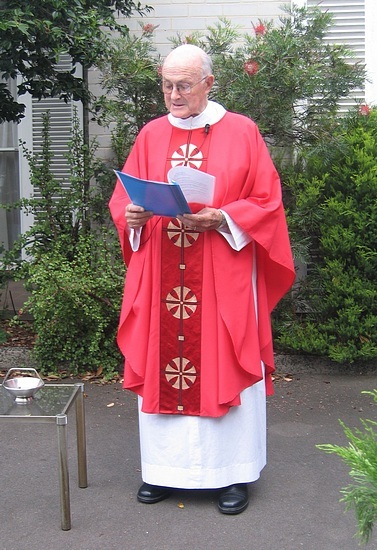 Our much valued and loved former Parish Priest of ten years died peacefully this morning following an illness. Fr John Bernard Cunningham was a humble and private man, though to most that didn't conceal the very faithful, thoughtful priest and caring pastor he was, driven in his mission by Christ's example. Greatly informed and influenced as well by his many experience of life, across time and two continents, through both difficult and happier periods, he was responsive and sensitive to the realities of humanity, being ever inclusive, supportive and encouraging. So often highly relevant personal experiences linked to Gospel readings brought his homilies powerfully and helpfully to life in accessible and contemporary ways. Sharing, more than preaching, he would characteristically then conclude with the question "does that make sense? - which almost invariably it did. Comments such as those that follow from parishioners during his time as I vanhoe Parish Priest say more than mere chronology; "Some are physically young but mentally old. John by his own description was 'an old man', but mentally young and alert to the world, and in the church somewhat ahead of his time"; Not being highly social in public by nature Fr John would often exit functions after a respectable time with the words "I must get home to the wife and kids". Despite strong faith his wicked humour sometimes also lead him to ask parting congregation members after Mass such rhetorical questions as "what are you doing this afternoon - no more of this religious stuff I hope? "; and in a different vein one commented that "Humility and compassion are truly visible traits in John and he does so much for so many with little fanfare and no kudos". With family long left behind in Ireland Fr John was fortunate to be befriended by a particular family from an earlier parish who duly 'adopted' him into their fold, allowing him to share something of regular family life, in the process also very much helping to care for him, and particularly in his declining health following retirement. Towards retirement Fr John was adamant that this would be dependent on the parish finding a suitable successor. Around the time of such appointment John subsequently looked particularly pleased. A further debt of gratitude is owed to John by parishioners for helping to attract the best possible replacement. We are most fortunate. No one is perfect and John would be the first to admit his warfare with technology, particularly church microphones. As for computers he felt destined to remain in terror of them despite best efforts by some persistent parish Primary School students to tame his fear. As a priest who ministered to many at their deaths John was very comfortable with the idea of death. He sometimes spoke of the words he would ideally like for his own eulogy - "He came, he was here, he left". To sum up simply, the following familiar words seem appropriate. "I was hungry you gave me food, I was thirsty you gave me something to drink. I was naked and you gave me clothing. I was a stranger and you welcomed me. I was sick and you took care of me. I was in prison and you visited me." Together with all else he did and for whom, John ministered well and with care to the sick and dying, and was well prepared for his own death. A debt of gratitude is owed by many. May Fr John Bernard Cunningham now rest in peace. 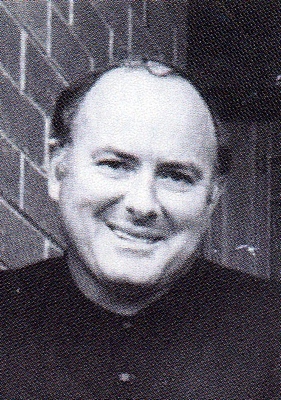 We express our sympathy to Fr John's family in Ireland, and to his 'adoptive family' in Melbourne.